As Chinese New year was just a week away, our Toasmaster of the Evening (TME) ACS, CL Sakti organised a Chinese New Year themed meeting where the dress colour of the meeting was red. The meeting was indeed a prosperous meeting as the Acting President mentioned that not only were the Immediate Past Presidents at the meeting but the Chartered President, Area Governor and Club Sponsor were present as well. After the introduction by the TME, ACB,CL and our club Chartered President gave his Invocation speech. In his speech, he gave us hope. guidance and direction to make this year a dynamic year for Toastmasters. Moreover, he encouraged us to enjoy ever meeting and also to visit other clubs and for our two guests from UPM to join Toastmasters. He also added that with action there will be results. At the end of his speech, I feel motivated to complete my Competent Communicator Manual by the end of this year. This was followed by the Table Topic Session conducted by ACB, ALB Cheah Ai Ling where the topics revolved around Chinese New Year such as favourite Chinese New Year food, how has the Year of the Rabbit been to them and so on. During this session, we do not only hear how CC Ron usually spend his Chinese New Year as he doesn’t celebrate it but also from the employer point of view, where ACG, CL Lim Thian Seng talked about the problems he faced as an employer with his creditors and debtors as Chinese New Year approaches. After the break, ACS, CL Victor Cheong gave a speech from the Advanced Communicator manual titled “Where Leaders Are Made”. His speech gave insight about Toastmasters such as the courage to speak in public. He also shared how he grew to become a good speaker and that through Toastmasters where there are people to point of suggestions for improvement and to give feedback. He also added that there are 3Ps in being a good speaker. The 3Ps were Prepare, Practice and Present. If you would like to ask effective questions and get the results you want, we have a workshop for that and it is happening on 25th February 2012, Saturday at our usual meeting venue. The speaker for this workshop for is Amy Wan who has been a trainer for more than 20 years. For more information or to purchase tickets please contact our President, Leong Soo Qi or VPE, Lee Mei Foong. Hope you had a awesome Chinese New Year celebration and see you at our next meeting on 1st February 2012. We will be having a Chinese New Year themed meeting this Wednesday, 18th January 2012. Same time, same place. See you there and Gong Xi Fa Cai! At our first toastmaster’s meeting of the year, our president CC Soo Qi started the meeting by wishing everyone a happy new year and introduced the guests which were DTM Leong Oi Wah, who was also our General Evaluator for that meeting, from MAICSA Toastmaster Club and Priscilla, who was one of our speakers from Faith Toastmaster Club. Then, she spoke about making new year’s resolutions and asked the audience thought-provoking questions like what were we last year? what would we like to be this year? and what would we like to achieve this time next year? After that, our TME CC Chironjit got everyone to introduce themselves and also mentioned that the club was 8 years and 6 months old. CIMA Malaysia Toastmasters Club was established on 4 June 2003. This was followed by the Table Topic Session, where ACB, CL Andy was the Table Topic Master. During this session, 6 brave souls came forward to speak. The theme was on colours. We had unexpected questions like “What colour would you choose for your bed?” as well as unexpected answers, for example, Victor who would like to paint his car rainbow colour and our guest Cheng Kiat who would like to paint his room purple. The best Table Topics Speaker goes to ACS Victor Cheong. Congratulations! This was followed by the humour session. CC Desmond was asked by yours truly before the meeting started if he could be the humour master and he agreed without hesitating. He even managed to come up with 5 jokes and managed to get the audience laughing. Well done! After the break, I gave my fourth speech from the CC manual and talked about my greatest fear, which is the fear of ghost. I started with telling the audience what I fear, followed by how this fear cripples me and ended my speech with how I overcome this fear. The next speaker was Priscilla from Faith Toastmaster Club who gave her fifth speech from the CC manual. It was very courageous of her to give her fifth speech outside her club for the first time. A feat that I would not even dare to do yet. Her topic was “When You Are Short Of Something.” She started with telling the audience her love for sports movie. This got us thinking of the sports movies that we watched like Jerry Maguire etc. Then she went on to add how these movies could inspire and motivate us. Like in the movies, the star player might get injured which is akin to setbacks in life. But we need to show endurance and patience to succeed. 1. Our next meeting will be held on 18th January 2012. 2. Our International Speech and Table Topics Contest will be held on 15th February 2012. Please inform our VPE CC Mei Foong if you would like to take part. See you at our next meeting at our next meeting and to all our members sitting for their final exams, all the best in your exams! (2) A brand new year awaits! Everyone gets a new chance, a fresh start. 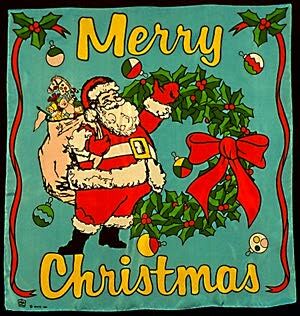 This evening, we will be having our Christmas themed meeting and also our last meeting of the year 2010. It is indeed a momentous meeting. Let’s do all we can to make it a beautiful and one that overflows with joy and laughter! Please enjoy this beautiful Christmas carol! Its the time of festivities! 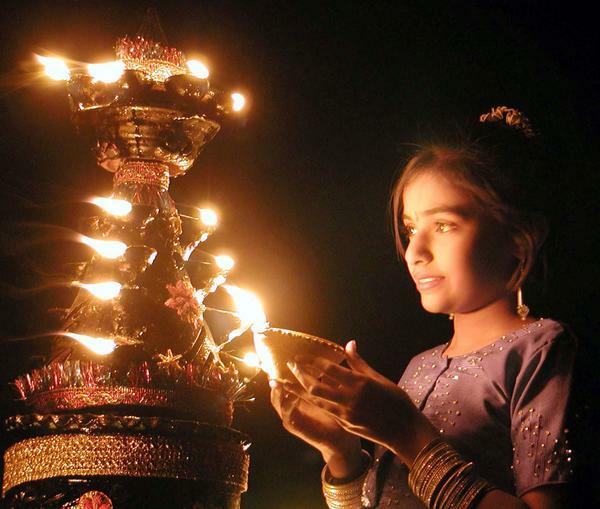 Yes, bring on the muruku and cookies for we are having a Deepavali themed meeting on the 3rd of November! Come dressed up in your finest Indian outfits everyone!! Meeting on the 20th October 2010 (as reported by our able Blog Reporter, Mei Foong). As Halloween is just peeking around the corner, we had our Scary Halloween meeting. The meeting started with the refreshments prepared by our witch Ai Ling. The attendance was very good at this meeting with a wonderful 16 members and the remaining were our guests. As our president was stuck in the traffic, our VPE Jerusha quickly took up the the role for the welcoming address. Then, came our Vampire Dinesh who gave a brief introduction about the theme for tonight. Next up, Jerusha, the Pocahontas, took over the table topic session. The lights were dimmed and out came a little torch light! We had 4 “creatures” who volunteered and they were Richard, Foo, Sean and I. We were asked to take the little torch light and use it to point to anyone that we would like them to make the sound effects we desired in our impromptu speech. With the lights was all off and just that little torch light, plus with sounds made by some ” creatures”, our hearts were beating very fast. After the table topic topic session, we had an ” Angel Sakti”, our table topics evaluator, who came all the way from heaven to give some feedback for the “creatures”. After this, Vampire Dinesh shared with us his little jokes on Halloween before we took a short break. Moving to the assignment speeches, today we had Steven was doing his first speech. The Ice Breaker! Congrats Steven! He shared with us that he came from the town of satay, Kajang and he was currently studying in Tar College (TARC) pursuing Advance Diploma Management Accounting. Our second speaker was myself. I shared about the best gift. What is the best gift do you think you can give to your family especially your parents? Is silver or gold? No, it is neither silver or gold but it is a simple phone call. Why? This is because a phone call telling your family that you are fine, they can sleep well. We are just like pearls in our palm of our parents, they always wants us to live well in life. Our last speaker today is our Vampire Dinesh. His speech title was ” Confrontation: Adversary Relationship”. Now that he has finished this speech, Dinesh now has gained “Advance Communication Bronze”. Congratulations to Dinesh! Well done! Next came the moment of the evaluation session, we had Yi Hoong, Michelle Yip and Richard Yeow to evaluate the three assignment speakers. I’m sure we all learnt a lot from their evaluations. Then, our GE Nancy Liew, President of the vibrant D’Utama Toastmasters introduced the other role players today before she gave her report. Thank you very much Nancy for being so gracious and lovely. We loved your presence at our meeting! We had our witch Ai Ling as our grammarian, Bryan Han as our Ah- countant, and Steven as our timekeeper. We also had 2 new comers today and they were Bakeerthy and Savitha from Tar College. We hope to see them in the future meeting. All in all, I believe we all had a great Halloween meeting! Do you know what happens on the 31st of October? No? Scary things happen. Witches come out to play. Goblins scatter around sneakily. Giants wander around aimlessly. Vampires trail the streets for fresh prey. But then, not all things are scary. Oh look, there is Snow White! And Cinderella, and Sleeping Beauty! 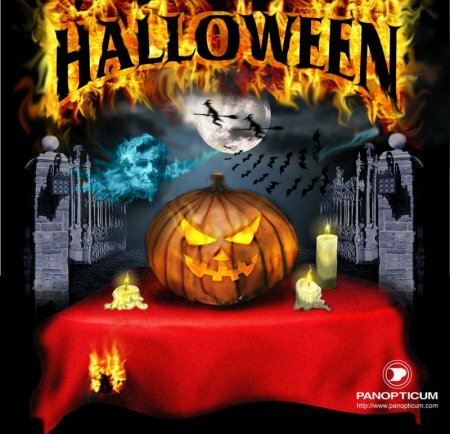 Dear friends, on the 20th of October 2010, we are celebrating Halloween at our meeting! You can come dressed as anything or anyone you want. Be creative! Search the net for ideas! You will be amazed at the costumes you can come up with, for free! Watch this video, if you don’t believe me! One week to go, let’s get CREATIVE! There will be a prize for the best costume for the night!